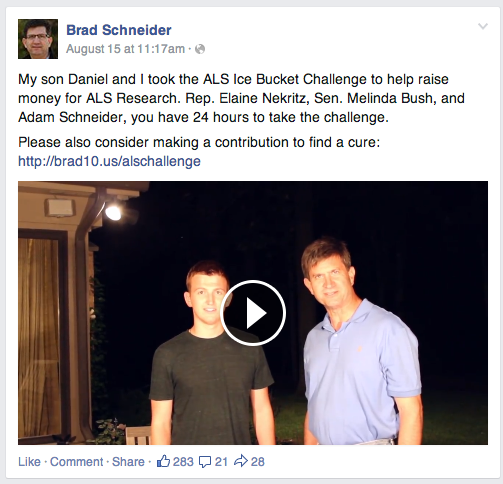 Let's take a spin around Facebook walls of candidates in Illinois to see what they were up to this weekend. 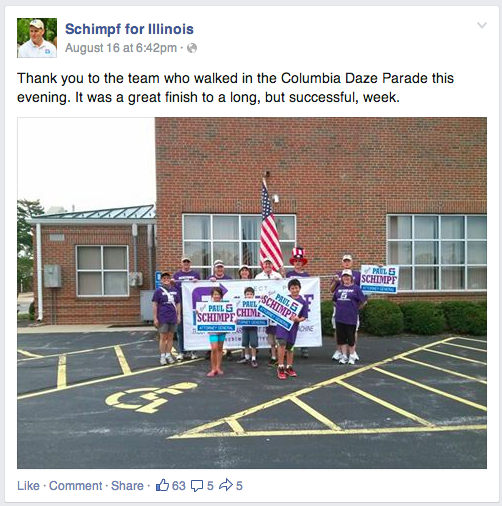 First up, Illinois Attorney General candidate Paul Schimpf who turned out a crew for the Columbia Daze parade. 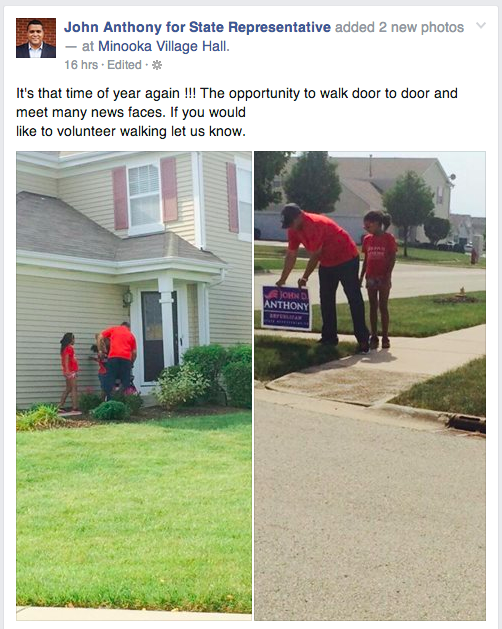 State Representative John Anthony was out meeting voters and putting in yard signs. Lt. 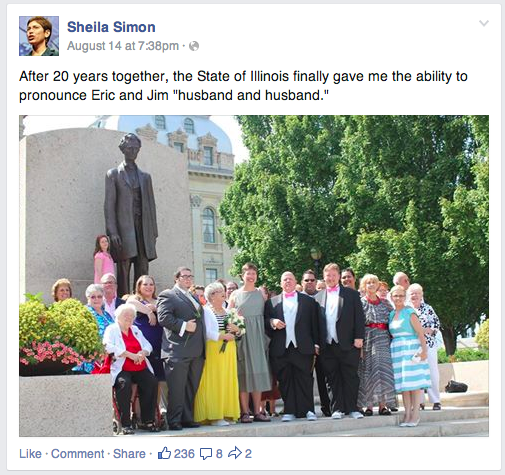 Governor and Comptroller Candidate Sheila Simon took some time to officiate a marriage. 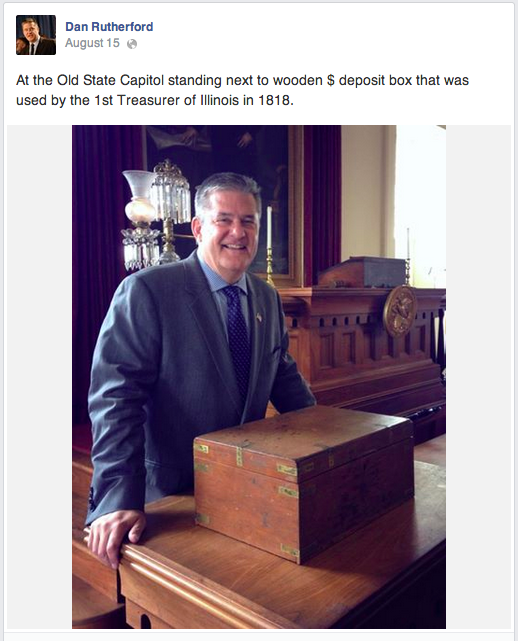 And Illinois State Treasurer Dan Rutherford kept a low profile. The last post on his wall was Friday when he stopped by the Old State Capitol.